We have had a sizzling heat-wave in California this summer and it’s not easing up! But, I can still cook up a family meal with this cold orzo salad. Not only does it relieve the heat somewhat, it’s also a Simply Greek recipe, which means it’s fast and easy. During these weather conditions, I tend to leave my heavy meals for the Fall, which means I need to reach for my tried and true shoebox recipes that can be made with fewer ingredients with very little effort. You don’t even need a recipe for this dish, most of the ingredients come from your vegetable bin or garden. I try and keep several boxes of orzo in my pantry at all times so I can throw this together at the last moment. Orzo can be made into a side dish along with the juices of a leg of lamb. Can be added to any soup, stew and even paella. Use orzo to stuff tomatoes, green peppers and zucchini. Or just make a pilaf with onions and herbs. Below is one brand I use, but there are many others to look for. This salad can be served room temperature or cold. That's the beauty of the dressing. Change up the vegetables and cheeses to your liking for your family and BBQ's. I make the entire pound of pasta for it makes a great lunch the next day. Make this salad year around using root vegetables, broccoli, cauliflower, but make sure to steam or roast them first before adding to the salad. Fill a large pot with water and bring to a boil. Add the pasta and stir several times. Cook until almost ready, al dente. (see package instructions) Remove and strain. Rinse with cold water. Place in a large bowl and cool. Mix the olive oil and vinegar into the pasta while still warm and let it sit as you prepare the vegetables. This allows the dressing to soak up into the pasta. Cut all the vegetables and add to the pasta. Add the cheese and basil before serving, this will help it from crumbling and also keeping the basil green. If using green beans, cauliflower, or broccoli you may want to steam them until tender before adding to the salad. When you have the pasta ready, refrigerate it overnight or for a couple of hours. Taste again for salt and pepper. Add more dressing if needed. Use any soft vegetable you may have in your refrigerator. Add zucchini, corn, radishes, green beans, baby tomatoes, and celery. Change out the feta for Parmesan, goat cheese or any hard cheese. Use dried herbs such as oregano, thyme, dill or basil, if fresh ones are not available. 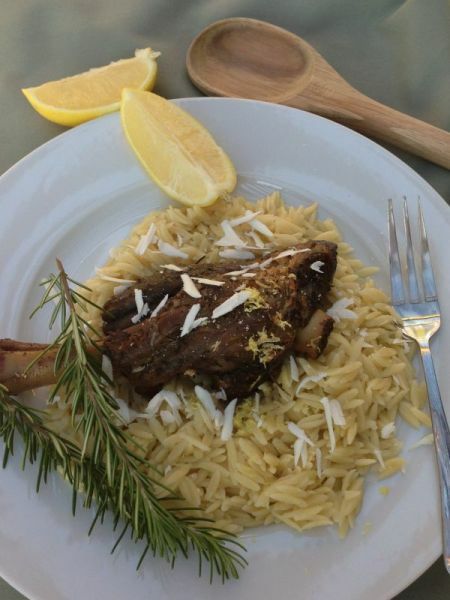 You may also enjoy my family’s recipe for Lamb Shanks with Orzo. 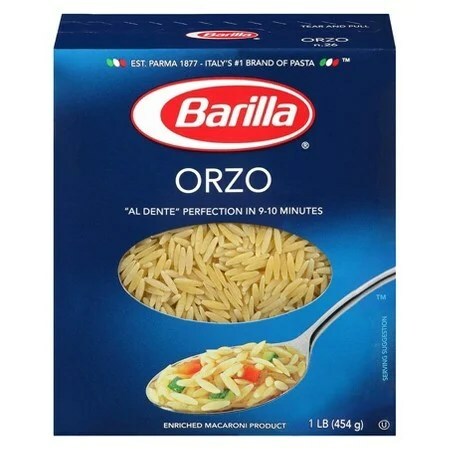 Love Orzo! this salad looks great! This is a good pantry dish, whatever you have on hand. Enjoy! 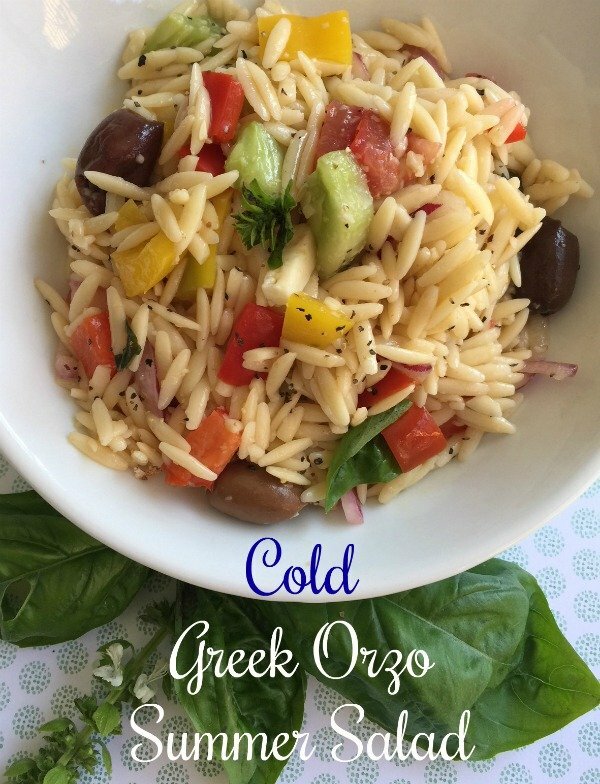 This Greek style orzo salad is a delicious and refreshing summer dish! It can be served as a main dish or a side depending on what you are eating. It’s also a great addition to any barbecue and potluck. I like to garnish mine with fresh, chopped parsley or oregano. Such a great simple salad enjoyed for many occasions!